The PC – 2x 15A is a two-supply current sharing controller which incorporates MOSFET ideal diodes. The diodes block reverse and shoot-through currents during start-up and fault conditions. Their forward voltage is adjusted to share the load currents between supplies. Unlike other sharing methods, neither a share bus nor trim pins on the supply are required. The dual function of this device makes it possible to integrate it into applications, where either a redundant power supply is required, or a 50/50 current share between 2 power supplies, even if they’re on 2 different main batteries (GND bridge required). The PL - 2x15A can be also used in normal remote controlled applications without Power-Cube and flight controller. 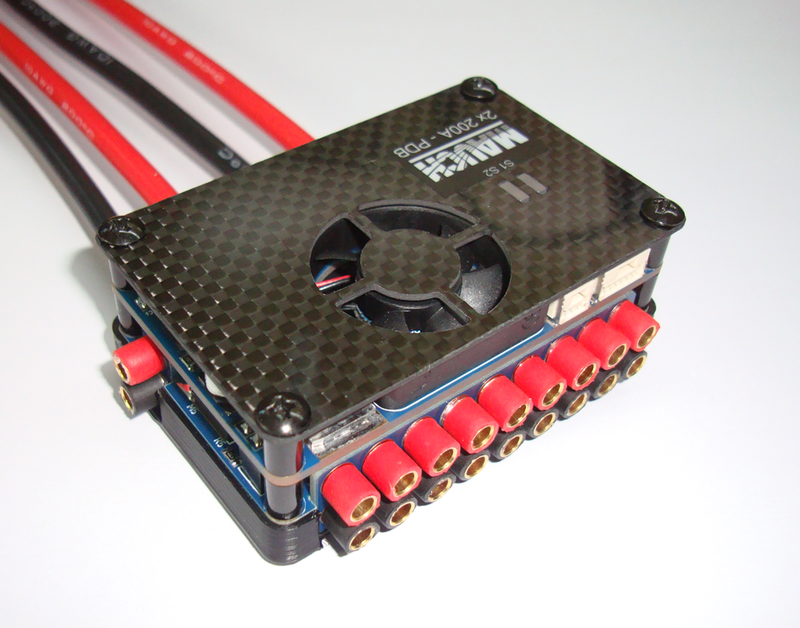 For example connect directly 2x 2S LiPo (doesn't matter if different capacity) to the two inputs and the output to the receiver or servo rail. Then you have an redundant power supply, with an total capacity of mAh / LiPo 1 plus mAh / LiPo 2. 2x Input cable / Molex / Click-Mate / 2.0 / L=200mm, in red/black. 4x Output cable / JR Servo connector / L=200mm, in red/black. REM: The cables are delivered separate and need to be soldered onto the board. This allows that the cable length can be adjusted before installation, to match the setup of the system. For further infos. 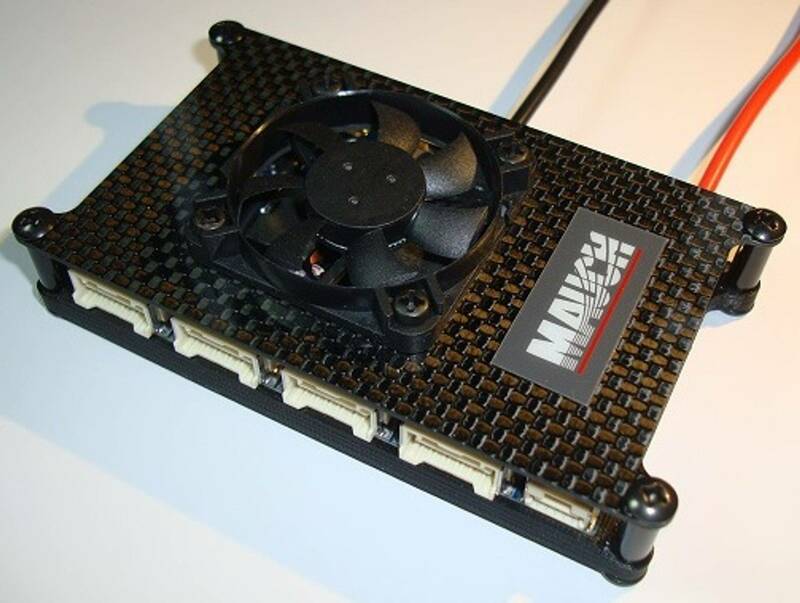 please check the PC - 2x 15A product page.